Periapical radiolucent lesions: Non-Pulpal Orginis. 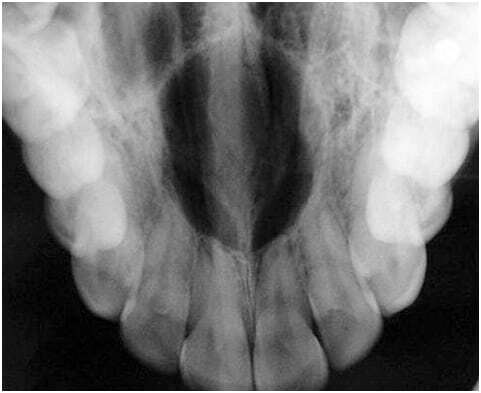 In this Article, we will describe and state a differential diagnosis for the most common Periapical radiolucent lesions that means that it is located in the periapical area and appears radiolucent. 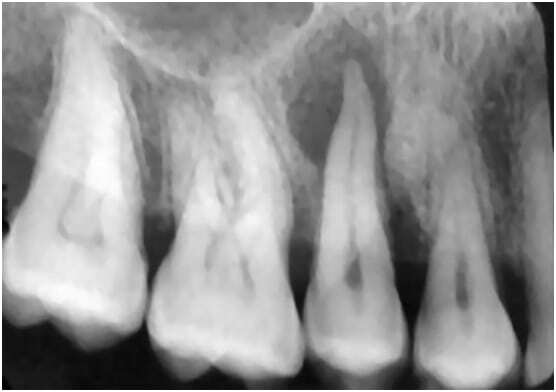 When we say non-pulpal origins it means the tooth is vital (most cases) and the teeth are mostly not effected (unless its periodontitis or malignant tumor) but the source of the lesion isn’t due to the pulp. A RL Periapical lesion in 33 year old African, located near the apex of the lower central inscisor the PDL is intact and there is no effect on the teeth. Another Name: PCD (Periapical Cemento-osseous dysplasia). Site: Apex of multiple lower Incisors. Description: Round, Monolucular and often multiple. Periodontium: Periodontal ligament space is intact. Dentition: Teeth are Vital, No displacement, No resorption. Small ( up to 1 cm in diameter). Early Stage: Radiolucent and not corticated. Late Stage: Dense radioopaque lesion with a thin Radiolucent line. 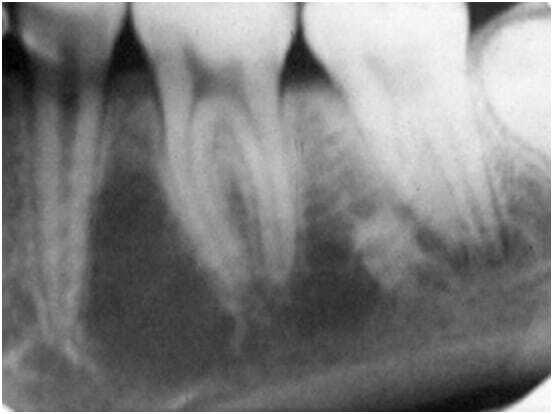 Dentition: Severe destruction around the effected roots of the teeth ( An Endo-Perio Lesion). Site: Mandible at the premolar/molar area.. Description: Monolucular, Moderately well corticated and Moderately Well Defined. 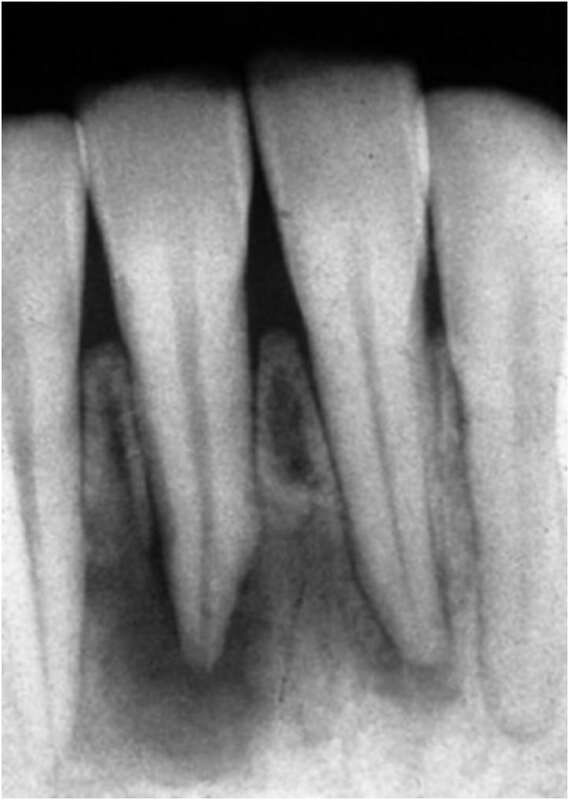 Periodontium: Scalloping of the cyst wall between the adjacent teeth. Dentition: Adjacent teeth are Vital, NO Displacement and No resorption. Bone Cavity not lined with epithelium. Scalloping (Superior margin of the cyst squeezes between the roots of the adjacent teeth. Periodontium: May cause Palatal Expansion..
Dentition: Adjacent teeth are Vital, Displaced and “Rarely resorbed”..
Raise from the Epithelial remnants of the duct or incisive canal. Age: Adolescent and young adults..
Site: In Jaws (75% in mandible). Description: Round, Monolocular, Not Corticated and it could be either Localized or multiple. Dentition: No Effect on teeth (Vital). Benign Lytic Lesion of bone characterized by proliferation of Langerhans cell. 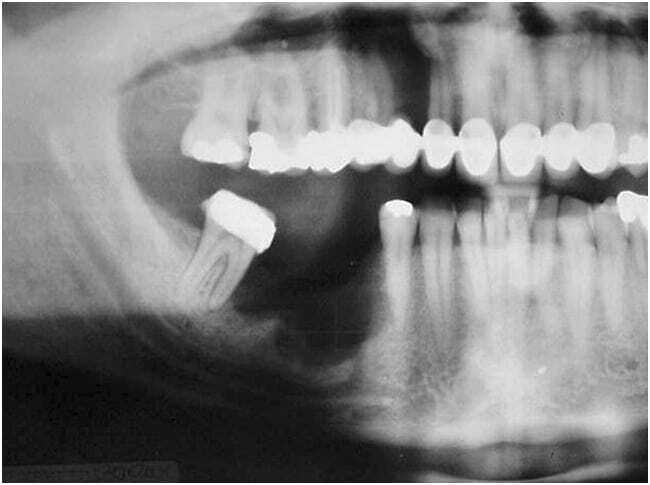 Answer Question 1: naso-palatine duct cyst, large incisive foramen, Periodontitis. Answer Question 2: Trumatic bone cyst, Cementoma 1st stage, Radicular cyst.